According to available data available from a leading daily, out of 9,700 students who qualified for the IIT 2012-13 years, 5,500 were from the CBSE. It means the CBSE board students contributed to 56 per cent of the total students joining the IITs. In the year 2011, the success rate of CBSE board student was 56 per cent and in 2010 it was 58 per cent. This is a remarkably high percentage as compared to other boards, which contribute marginally in sending their students to the IITs. 1) The diversity factor in schools with CBSE board is high as more students from different backgrounds are likely to end up in the same class. 2) Quality of Content (No Errors/ No Printing Mistakes) in Textbooks’ is good. 3) Continuous And Comprehensive Evaluation (CCE), a new system of education implemented by CBSE for students of sixth to tenth grades. It removes the marking system and introduces grading system based on a series of curricular and extracurricular activities. 4) Easy to find tutors, books and activities for all classes. 5) Focus on Science and Mathematics as well as application based subjects. 6) Recognition by all colleges in India. 7) Centralized system for transferring across all CBSE schools. 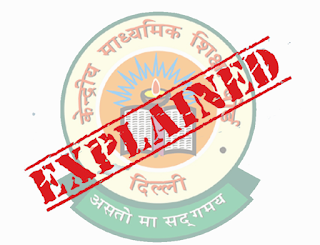 8) Numerous talent search examinations and scholarship exams such as SSTSE, NSEB, NSEC etc held at local and national level base their content on CBSE syllabus just because it is more prevalent. 1) Although Major Entrance Exams syllabus is based on CBSE, the fact that the seats for those courses are open for all students in India. And colleges which are coming under state universities have more reserved seats for students from state boards. So students from CBSE board who wouldn’t crack entrance exams face problems in getting admission in state university colleges as they have very less number of seats for CBSE Board quota. 2) Fees can be on the high side for some schools. 3) There aren’t enough options to explore in the field of Arts and Literature.